When speaking about translation, people usually think of the trasposition of a text from a language (a natural code) to another, different from the one in which the text was originally conceived and written. 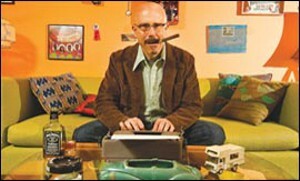 As a matter of fact, that is just a peculiar subprocess within the boundless universe of translation. One of the first steps towards a more scientific and complete approach to translation as it is generally thought of consists in acknowledging all its potential aspects. The translation process is often described with metaphors relating to space and movement. In some languages the terms referring to “source text” and “target text” are undoubtedly linked to the notion of “space”. In Italian, for instance, “testo di partenza” and “testo d’arrivo” (literally, “starting text” and “arrival text”) refer to the semantic field of runs and races. The same is true, for example, for the French “texte de départ” and “texte d’arrivée”. To some extent, it seems that translation were a sort of transportation of something (apparently words) from one place to another. And this might be due to the fact that even the Latin word from which “translation” derives, “translatus”, comes from the verbtrans-fero meaning “to bring on the opposite side of”. But even though it is true that translation has a spatial dimension, it also has a temporal and cultural one, all three made up of a number of other interrelated elements. To avoid all the words which are too explicitly linked to the semantic field of departures and arrivals, which remind of military targets (“target text”) or which imply the misleading idea that there were no previous influences on the first text (“source text”), one may call “original” the text from which the translation process stems, and “translation” the text resulting from it. However, the word “translation” does not allow to make a distinction between the process and the outcome. That is why the ideal terms would be “prototext” (i.e. “first text”, the original text) and “metatext” (i.e. the subsequent text, deriving from the first one). Such terms were coined by the Slovak semiotician Anton Popovič (1933-1984), who gave a substantial boost to translation studies in the 1960s and 1970s. Unfortunately, his ideas spread to the Western countries only after he had prematurely died. It is also necessary to define the notion of “text”. The first definition that comes to mind when speaking of a text is a consistent group of written words with a unified structure that makes it a whole. But according to semiotics, the notion of “text” needs to be extended to nonverbal languages, such as music, figurative arts, cinema, advertisement, natural environment, street signals, and so on. The consequences of such a widening of horizons are clear: if by “translation” we mean any process transforming a prototext into a metatext, with the text belonging to any verbal or nonverbal language or code (and by the way, prototext and metatext can even be expressed with the same code! ), then the notion of “translation process” embraces a very wide range of processes, related to all possible transformations of texts. In the previous table, each row contains a communicative act which belongs to the translation process. Let us see some examples of translation processes. The first row shows the standard interlingual translation process. The prototext is expressed in a natural code (i.e. in a language – English for instance – that differs from artificial codes such as, say, mathematics), and its transformation into a metatext is textual (both metatext and prototext are verbal texts) and interlingual (the prototext language is different from the metatext language). The second row shows paraphrase: the process is the same as interlingual translation, but paraphrase usually occurs within the same language, as the content of the message is simply re-expressed with other words. Quotations may take on the form of references or allusions especially if their ‘delimiters’ (such as inverted commas) are missing: sometimes it is a very hard task for the reader to recognize them as alien texts which were originally part of another, far different text. Even quotations are forms of translation because a word or a sentence uttered by someone in a given context and co-text (→ section 3.1) is re-uttered in a new context and co-text. In this way, the original utterance is now part of a new text: it is ‘translated’. The Internet and all the other telecommunication media are exponentially increasing intertextuality in our every-day communication practice. It is extremely easy for people with access to the Internet to come into contact with the other’s words, and the most modern communicative acts are consequently intertexts, i.e. intertextual translations. Among the different types of intersemiotic translation there are also reading and writing, all the stages of dream elaboration as both intra- and interpersonal phenomena (i.e. reporting the dream, transcribing it), and psychotherapy, consisting both in the repeated translation of affects, feelings, and drives into words, and in the decoding and recoding of such words, which finally act as a feedback for the patient. With a scientific explanation for the translation process as its goal, contemporary translation science does not only deal with interlingual translation. 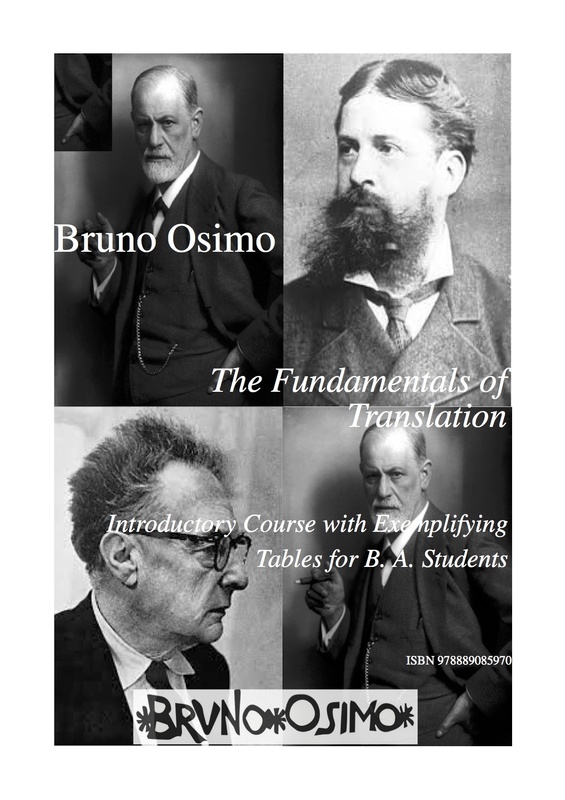 The present course on the fundamentals of translation does not aim at teaching how to translate – the translation practice represents a subsequent phase in the education of translators –, but at shading light on an often taken for granted and unconsciously practiced activity, as well as at paving the way for the interlingual translation practice. This book is based on the principle that it is possible to create a text out of the writings of an author, focusing on a subject that had not necessarily been considered central or fundamental in the original author’s view. 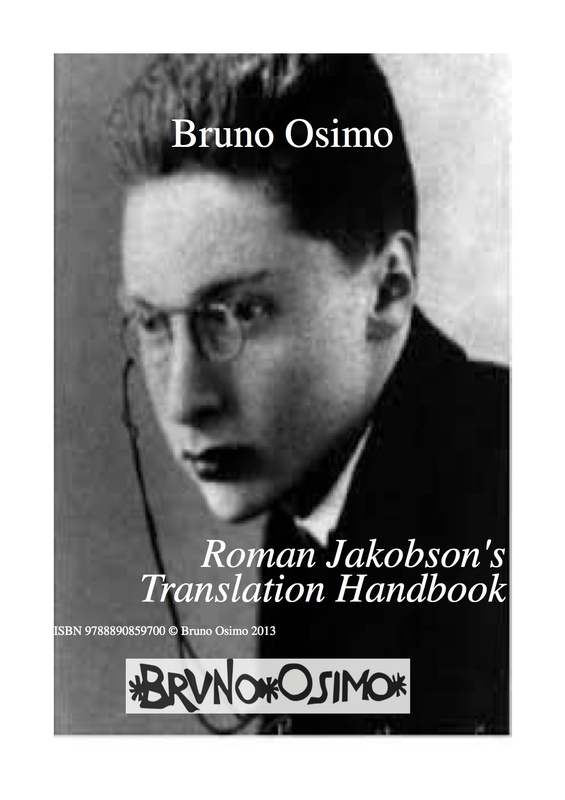 Roman Jakobson wrote many articles and books, that only partially dealt with translation. My intention here is to synthesize his thought on translation by collecting a number of quotations from different papers and essays of different times, originally written in various languages, and rearranging them according to my own criteria. The result is a series of paragraphs and chapters whose identity derives from the assembling of heterogeneous texts that, however, see one given topic from different perspectives. The first chapters focus on inner language as a nonverbal code, and the consequences of the continuous shift from verbal to nonverbal and viceversa occurring during speech, writing – coding –, hearing, reading – decoding –, and therefore occurring within the translation process itself. The notion of “intersemiotic translation” is considered from a new perspective. In the central chapter Jakobson’s distinctive features method is applied to translation. Using the similarity/contiguity and imputed/factual variables, taken from Peirce’s writings, Jakobson realizes that one of the four actualizations is missing from Peirce’s treatment. Translation, that according to Jakobson is not equivalence but evolution of sense, may well be imputed similarity, the missing actualization of the aforementioned variables. In the third chapter the focus is on the difference between humane disciplines and exact sciences, and where translation studies belong. Scientific method should be limited to exact disciplines or extended to humane fields as well? This decision has many implications, starting from the name of our discipline – translation science, translatology, translation studies, translation theory – passing through scientific terminology and arriving to semiotics, that according to Jakobson is the science within which the translation discipline should develop itself. Since in classic times disciplines were divided into trivium (humane fields) and quadrivium (sciences), following Jakobson’s semiotic path would mean to overcome trivium, to get out of triviality, in a sense. (2009). Jakobson and the mental phases of translation. Mutatis Mutandis, 2(1), 73 – 84. (2008) Translation as imputed similarity”. Sign Systems Studies 36.2:315-339. (2016) Translation from rags to riches in Jakobson. Sign Systems Studies, still to be defined. «Adeguarsi o adeguare. 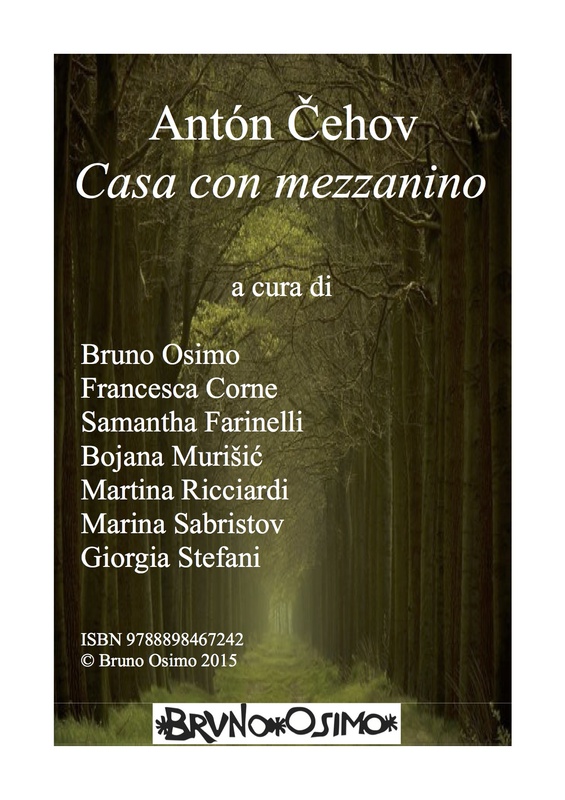 Un racconto sulla traduzione» Opera recensita: Di seconda mano, di Laura Bocci, Rizzoli, 2004, p. 196, 15 euro. Pubblicato su Diario della settimana del 24 settembre 2004, p. 68. Questi saggi di traduttologia applicata non sono l’originale di Experiences in Translation, uscito in Canada due anni fa, anche se in parte ne ricalcano il contenuto. 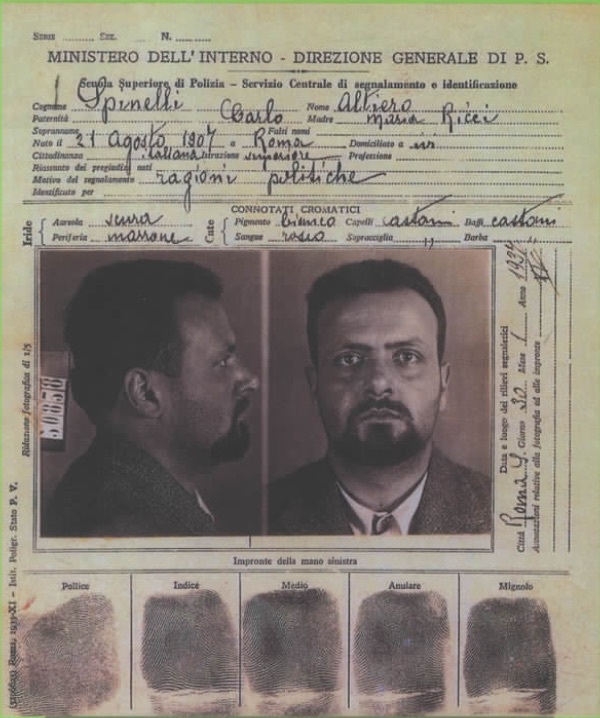 I quattordici capitoli, che si basano anche su altre conferenze di Oxford e di Bologna, sono caratterizzati dalla presenza di un grandissimo numero di esempi italiani che nell’edizione canadese, per evidenti motivi di traducibilità, erano perlopiù assenti o comunque diversi. Il volume canadese era perciò una traduzione senza un originale, mentre questo volume italiano è un originale che però con ogni probabilità non avrà una traduzione puntuale. Il che di per sé stesso dà già molto da pensare a cosa si può intendere per «traduzione», concetto che, da Jakobson in poi, diventa vieppiù nodale in semiotica, superando la concezione ristretta al solo passaggio testuale interlinguistico. Negli anni Sessanta e Settanta, la disciplina si chiamava ancora «teoria della traduzione», e i traduttori non ne volevano sapere perché l’angusta impostazione lessicalistica non permetteva loro di trarne alcuno spunto pratico. Si ragionava, allora, in termini di “equivalenze”, senza tenere conto che le lingue naturali (a differenza di linguaggi artificiali come la matematica) nascono e si evolvono spontaneamente con la gente che parla e scrive, in modo diverso nei diversi contesti culturali. Se a questo si aggiunge che una componente importante del significato è soggettiva (come spiegano Peirce e Freud), andare alla ricerca di parole “equivalenti” diventa proprio impossibile. Era una teoria arida senza applicazioni, gli esempi scarseggiavano e, quando c’erano, erano “finti”, creati dal linguista a tavolino per mostrare qualcosa, non erano problemi reali incontrati da traduttori all’opera. Eco capovolge quella situazione claustrofobica, disponendo di un’enorme mole di esempi, tra i quali qua e là s’intrufola – senza parere – qualche notazione di semiotica della traduzione. Per questo motivo le ristampe già si susseguono e il volume trova moltissimi proseliti, in primo luogo fra i traduttori. In alcuni casi, le esperienze riferite da Eco sono quelle dell’autore di testi narrativi interpellato dai propri traduttori nelle varie lingue; e, dato che i suoi romanzi sono stati diffusamente tradotti, questa da sola è una fonte pressoché inesauribile di casi concreti di problemi non già meramente lessicali, ma di traducibilità della cultura, delle implicazioni diverse della componente di non detto nella cultura emittente e in quella ricevente. Altri casi riguardano l’esperienza di Eco come traduttore – di Gérard de Nerval e di Queneau, per esempio –, e allora ci viene illustrato in che modo ha affrontato e risolto i problemi che gli si sono posti. In altri casi, infine, Eco è presente nel libro in veste di semiotico (non vedo perché dovremmo continuare a chiamarlo «semiologo», dal momento che si rifà assai più a Peirce che non a Saussure) che parla di traduzione nell’ottica della più generale teoria della significazione. Ma quasi sempre Eco è tutte e tre le cose insieme. Del resto, fin dai tempi del Nome della rosa siamo abituati a incontrare, elegantemente celate nell’ordito narrativo, annotazioni di semiotica e filosofia del linguaggio, al punto che viene il sospetto che il vero e proprio topos del macrotesto echiano sia il gusto per la ricerca del rimando intertestuale, il piacere della congettura, la libido abduttiva. Alcuni traduttori saranno forse annoiati dalla presenza di queste sparse annotazioni semiotiche con cui Eco tira le fila dei singoli esempi portati e li inquadra in categorie, indicando quale sarebbe l’approccio scientifico ai vari problemi. E, forse, simmetricamente, i ricercatori più rigidi potranno essere seccati dalla sicurezza con cui scelte traduttive sono indicate come giuste o sbagliate, dimentichi che nessuno meglio dell’autore empirico di un testo conosce l’intentio auctoris e l’intentio operis. È in fondo questa la migliore dimostrazione che si tratta di un libro interessante e ricco di spunti. Dovrebbero leggerlo anche alcuni editor di narrativa tradotta, il cui potere di scelta è inversamente proporzionale alla competenza: ma non sperateci. Friedmar Apel, Il movimento del linguaggio. Una ricerca sul problema del tradurre, a cura di Emilio Mattioli e Riccarda Novello, Marcos y Marcos 1997. Fiedmar Apel è il principale traduttologo tedesco vivente. Ha già pubblicato in Italia il Manuale del traduttore letterario. Con Apel, viene ribaltata la vecchia concezione linguistica secondo cui esiste un messaggio, di cui la traduzione si fa tramite per convogliarlo ai lettori in un’altra lingua. In questa concezione il traduttore è asservito al Senso, e l’Originale è una sorta di divinità che va trasportata col minor numero possibile di scossoni. In questa vecchia concezione, il traduttore va a caccia di “equivalenze”, e perciò naturalmente torna sempre a casa col carniere vuoto, dato che nei linguaggi naturali le equivalenze non esistono. Nella visione apeliana, al centro del paradigma non sta più il senso ma il linguaggio, e la dialettica tra la poetica del primo autore e la poetica del traduttore (secondo autore) dà vita appunto allo Sprachbewegung del titolo. Partendo da Gottsched e proseguendo fino a Celan, passando da Breitinger, Bodmer, Klopstock, Gottsched, Hamann, Herder, Schlegel, Novalis, Schleiermacher, Humboldt, Benjamin e altri, Apel ravvisa alcuni tratti comuni sviluppati dalla scuola filologica tedesca. Con Herder viene dinamizzata l’idea di traduzione, che diventa un modo per dare forma alla lingua propria ed entra così a far parte della storia. Con Voss si comincia a capire che «nella traduzione dovrebbe apparire chiaro proprio il fatto che non si può dire tutto quello che idealmente vi si dovrebbe dire»: l’inadeguatezza, l’incompletezza assurgono a tratto dominante, dinamico: il lettore deve essere invogliato a farsi strada verso l’originale. Esplicito, il dinamismo linguistico lo diventa in Humboldt: «La lingua non è un’opera (ergon), ma un’attività (energheia)». Da questa affermazione discende anche il capovolgimento di prospettiva lingua/percezione, la loro dipendenza reciproca. Ed energia è anche la traduzione, energia per l’arricchimento della cultura nazionale: «Se per avverso timore dell’inconsueto si [...] vuole evitare persino lo stesso straniero, [...] allora si distrugge tutto il tradurre e tutta la sua utilità per la lingua e la nazione». Il diverso, lo straniero, l’estraneo sono elementi di vitalità per la cultura nazionale. La concezione di Benjamin è mistica, secondo il movimento del Tikkùn, la restaurazione del tutto: i vasi allineati sono un’immagine della creazione. Rivelatisi fragili, i vasi si rompono, consentendo di separare il bene dal male. Qui entra in gioco il traduttore-angelo, che traduce dall’inferiore al superiore, avvicinando a Dio e restaurando il vaso: un lavoro artigianale che produce un risultato migliore dell’originale. 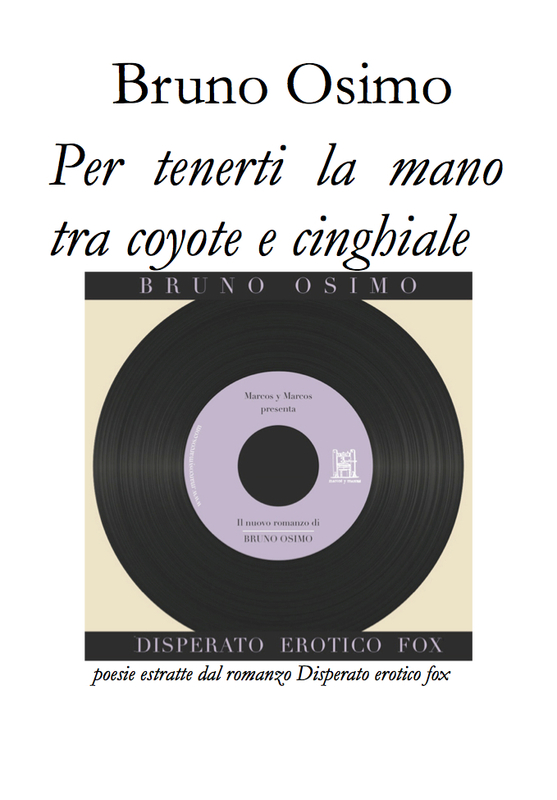 Fino ad arrivare a Celan, le cui le traduzioni sono al tempo stesso poesia, poetica e interpretazioni storiche ben definite. Dall’excursus storico-filologico si ricava una concezione della traduzione come rapporto tra due poetiche, che va continuamente superata nello spazio (al lettore deve venire il desiderio di gettare via la traduzione, portatrice di imperfettibilità, e di imparare la lingua originale) e nel tempo: ogni traduzione invecchia perché è la fotografia del rapporto tra la poetica dell’autore in un tempo X e quella del traduttore in un tempo Y, e va di continuo superata.